In the serene world of mental illness, modern man no longer communicates with the madman: on one hand, the man of reason delegates the physician to madness, thereby authorizing a relation only through the abstract universality of disease; on the other, the man of madness communicates with society only by the intermediary of an equally abstract reason which is order, physical and moral constraint, the anonymous pressure of the group, the requirements of conformity. Since the 1980s, a group of artists, under the name of the Frente de Artistas del Hospital José Tiburcio Borda de Buenos Aires has struggled against the medicalisation and pathologisation of mad bodies, a process that has slowly or rapidly extended to the whole social body, potentially categorising all life as an illness. The FAB as an experiment-intervention to jump over or break down the walls of the asylum. Fernando Stivala is a member of the FAB, whose writings, both in form and content, push against the walls of our asylums. pain of the whole society enters. About what things in relation to something of what we did a few years ago in the territories where crazy things converge, can we talk, write, tell of, without reproducing hegemonic thoughts? What do we do with that reproductive memory that often crushes possible acts of creation with images of the past? How much and what kind of memory is needed? To obey the tradition as it is given? If we do not ask ourselves why do we do what we do, it becomes an automatic way of living. An automatic way of struggles and resistances. How do we weave singular points (statements that have effects on our lives) without forgetting some necessary references, and at the same time without trampling on those references, possible acts of creation? How do we build something new in the old, how do we elaborate something different in everything repeated? How to think effective, affective and practical processes of deasylumisation? How to live without others? Castels tells us that psychiatry was born in the asylum, was always a part of a global social project. One of the first concerns of the psychiatrists of the nineteenth century was to recognize themselves as specialists. Of what? Of a certain general danger that runs through the social body, threatening everything and everyone because nobody is sheltered from madness. The psychiatrist has presented himself as the maker of an order that is that of society as a whole. A complete strategy of regularity, normalisation, assistance, vigilance and guardianship of the alienated, the vagabonds, the poor. The psychiatrist is less related to doctors, and more to security guards. Or to say more: Medicine is not only aimed at curing diseases, it has intimate relationships with social organisation. How is life after the asylum, or without asylums? With the current processes of deasylumisation, do we question the hegemonic logic of confinement, or do we only change the disguise while keeping the social guardians? How to live with others? If we read the articles of the mental health law 26.657, we can see how it is based mainly on this position, boasting of a re-socialisation in a world that assumes normality, a world where its values are not questioned. Attempts to live together in halfway house, day hospitals. Search for work and housing. Money management, hygiene. Building healthy bonds. Relationship with friendships, with love, with sexuality. Ways to hurt, to feel, to speak, to think, to remember, to negotiate, to enjoy, to perceive, to dress, to live. All this in bodies devastated by sensitivity. We are forced to imagine clinical abodes. Spaces where coexistence, for a time, is possible. Without the enclosures already vigorously denounced, and without the risks of controlling normalization. The underestimation of desires, thoughts and feelings, paternalistic forms of love where micro violence is expressed in an infantilising doing for the other. Naturalisation of being recognized in pain, pathological characterisation that is overvalued or denied, recognition on the basis of being named as such. Accustomed position of victim and sufferer. As for the doubts, I ask; others always know for me. People in states of distrust and paranoia. Bad treatment through surveillance and confinement. Sensation of constant threat. Parenthesis: (No one did as much for paranoia in postmodernity as Jeremy Bentham, creator of the feeling that you can always be watched). With controlling normalisation, we speak of the generalisation of norms that suppose comfort. Abstract rules where some know for others, where there is an empty equality of all. Pressure of the majority that is always brutal. We think of situations. We set guidelines every time. Among whom? Among the actors of the situation. The doctor-patient, coordinator-coordinated, subject-object distinctions are blurred. Living people who plot in situations. Not equal, different but not hierarchical. How does closeness and love break out when lives are marked by distances and rejection? How to inhabit ways of being in common, with proximities and distances? Percia says that “madness is not a personal fatality, it is an unheard-of sensibility, a cleavage through which the pain of the whole society enters.” Those who can not bear that pain see diagnoses, victims, spectacularisation. In the clinics of so-called psychosis or madness, Percia prefers to call excesses, those living stigmatized with the suspicion of a failure. It is not the same thing, to listen to excess and to the psychotic. The excesses involve you. Intensities that occupy bodies. The sensation of not being able any more, that it is too much for me. Who does not have these states of suffering? Who did not live these sensations of intensity? Mad friends put a magnifying glass to the excesses. Perhaps the difference lies on the very surface, raw, without mediations. What are the excesses? The body’s ability to feel, to be affected; that good habits, reason and social control are dedicated to numbing and anesthetising. There is no cure because there is no disease. There are excesses that want to be controlled by a rationality of order. Re-socialisation is nothing more than a domestication of civilisation before the fear of the barbarism. With this position, there is only learning for rewards and punishments, that is, for fears and hopes, not taking into account the deliriums. To apologize, to be angry, to be insensitive. The decrease of delirium, has as a cost the decrease of all sensitivities. The abnormal or mad bear the burden of the suspicion of failure, the anomalous overflows the regulations. The suspicion of normality, of the majority, makes the excesses madder. How to house them without pressure, without the expectation of the majority, of reinsertion? Another problem of equality, how to call them? Abnormal, patients, crazy, internal, sick, boys. Users to make equal? Living bodies that are magnifying glasses of feelings? They can be. In principle, to maintain questions so that these inventions appear, not to tell them how to call them. We want to transmit a clinic that supports questions without answering. Can the excess be accommodated in the eruption without fear, without rejection, without expulsion, without experiencing the threat? The question about “what to do?” Is the clinical moment, not the formulas learned in successful cultural gatherings. Each situation presupposes a set of decisions. Problems have to connect you with the infinite number of possibilities. Another problem of the groups, another magnifying glass: Sensitivities that can not be in proximity with others because they feel that they get into their thoughts. Feeling that being with others there is no possibility of distance. Tyranny of closeness, oppression, suffocation, confinement of love. Another magnifying glass: Naturalisation of impotence. Force that only demands. Thus it subjectivises, thus it affirms a way of being. I demand, therefore I exist. How can we limit the excess expressed in demand without abandoning it, without falling back into the subject-object pair? How to generate neighborhoods that do not cover demands and distances that are not rejection or abandonment? Build, diagram, experience-experiment collective spaces as a relay of neighborhoods (loves) and distances (rejections). Excess requires the relief of many bodies to house it. Many bodies to circulate pain, intensity. How is the anguish endured? It is not supported, it is housed, it is given space to circulate, breathe, move. We name our anguish, we share it, we discredit it, we laugh at it. Tears for example measure out the pain because they make it flow. Imagine an explosion with pain and immobility at the same time. To be in common with astuteness, so as not to fall prey to preconceived reintegration, of groups. Difficult to sustain a clinic with others that does not hold to the moralising models of the groups. Uncertainty of what we want to transmit. Stuttering that unfolds in the experimentation. The interesting thing about relating to madness is that it seriously destroys representations. It forces us to think about the immovable spaces that we offer as redeemers. Yes, or yes the social contract (with language as its greatest ally) is in check. So? Then you have to invent. Yes, or yes you are forced to question the unquestioned places (mainly: oneself). So there, one experiments. Ask about the sensations and from there look for new territories of common existence. Magnifying sensitivities blow up safe places, known references. But, you know in advance and colonise. Other magnifying glasses: accumulation of the useless, accumulation of threats, accumulation of pain. It is delirious to live accumulating unnecessary money, but since it is money, everything is fine. When they are useless objects for the production of value, one suspects. The excesses take the useless to its maximum expression. It is clear that in accumulation, consumption is of useless goods. As clear as the accumulation that one has of clothes, books, recipes; or hyper-millionaires who can not even count the money they have. The excesses show us other forms of accumulation that are not capitalist. Tracks to enchant, libidinise lives without the modes of capitalist speech. To widen the horizon of our imagination captured by the consumption of capitalist meaning. … Recipes. We propose knowledge that is constructed from situations. The production of meaning from the sensitivities of the affected bodies. Other examples are forms of groups, inhibited by rules. That nothing happens to you in the doubt. Instead, nothing happens to you, anti-capitalist track. To be in nothingness not as failure or lack, but to be in life without the disease of the accumulation of prestige, power or money. The excesses, it seems, can live without that. The places of greatest pain, perhaps announce possible emancipations from the world in which we live? Neoliberalism as a form of production of ways of being that are acquired in gondolas. Sensitivities or bodies that are affected by consuming. What we have to say is not more important than what they have to live. Knowledge gives to life laws that separate it from what it can; it avoids it and forbids it to act, by keeping it in the narrow frame of observable reactions: almost like the animal in a zoo. Knowledge that limits, measures, and models life. We do not come to give recipes, but to propose to get into the quilombo of feelings. A clinic that begins from experience. To affect oneself and sustain uncertainties with questions. The method in general is a means to avoid being in places. That life serves the mind. It is not an anti-capitalist whim, it is the clinical blow that does not have its recognition in the market. Unusual forms that remain outside the normalising, social, capitalist, of the period. Madness was always in those margins. Can there be a being with others without the pressure of the majority? No matter the truth or falsity of what we are. That does not exist. Emotional outbursts or crisis of reason or outbreaks of intensities do not turn people into dangerous beings. Neither be, nor dangerous. It is the political struggle to think about life in a different way. Without totalitarian attributions that fix you in identities. Our ways of being are the raw material of action. How are we going to reproach it by negatively labeling it? Or whoever wants to do it, do so, but without bothering others. Libidinisation, magic, temporary embrace in a shared delirium are important. Sensation of plotting something with another. What is the difference between a madman and a politician? A politician convinces all others of his delirium. Diagnoses were common deliriums that were normalised, that’s why they stop. They give us experience that there is no exit or entrance. The confinement occurs when there are no common delusions. That’s why we believe that in madness there are clues to escape from the commonly known, asphyxiating labels. We invented “the path of the madman” so that they do not become out of touch; alone and they declare you insane. Commands that seize, at times, points of dementia. A way of being in common of the ex-orbitant without masters, or bosses, or flags, or ideals to which we must respond. It is a project to unleash unheard-of worlds, or the reverse, to see unheard-of worlds where there is usually a one-dimensional (label) of existence. Boredom: universality of the facts. University of Life. Unleashing the unprecedented is a remainder of power-potentiality that thought needs. Decision of non-voluntary thinking. Decide to think that the existing does not exhaust the possible. Laceration of living and thinking. Do not endure the world as it is: automatic, repeated, obedient, bored. That is why we believe it is important to include the dimension of fun, joy. Possible versions of the living. “Are common ways of being possible without the bonding logic of private property, of fanatical union? How? We love the strange, the inexplicable, the insane. If there is a Marlon Brando, we libidise him, we follow him, we surround him. If there is a stripper, the same. If there are problems of love, we invent therapies for couples. Is a community possible without states of subjection, or goals? Can one live with others without the project of civilisation? Without the intentions of coexistence, learning, good manners? And the always inhibitory question: what happens if something happens? The compass that guides the interventions-look is to ask oneself, what does it work with? These actions (a look, a camera, or a recorder) inaugurate fictions where each person is an actor of their delusions or obsessions. Thus, some sounds, postures or gestures gain strength. The supposed fragility becomes splendor. Even brutality can acquire grace and rhythm. Someone recites delirious words. With a hat and cane, that force vibrates without accent. There, a mystical-delirious presence is acquired that gains legitimacy of predence by sharing rituals that are not shareable until then. Then the delirium leaves the psychiatric field to rediscover its ancestral, divine function, which has nothing to do with an acting representation. It’s something else. Making theater is making lives. That uncertainty should not be hidden. It is the magic-force that these types of experiences have. It is what makes the actions we show vibrate. Here it is also about putting the accent or underlining the “by a hair” that Peter Pal Pelbart mentions in “Philosophy of desertion”. The security of the world is moved, and that commotion reveals the percentage of play and chance that lives bear. What else does the theater look for, if it is not this mixture of faintness and miracle? Theater and life as two expressions of the same. Theater and life expressing (widening) the limits of what we can/know. The life and the theater shaken by tremors, ruptures of securities, intensities that overflow all representation and codes in the common repertoire. Mobilising languages that jeopardize the hegemonic language. Reinventing ways of being in the world. Life struggling with the unrepresentable, with the inaudible, with the inappropriate, with the unprecedented. The excesses hurt because they pay the costs of turning reason, assurances, identities on their head. Art always came to drink from that inexhaustible source of unreason. We have to recover those airs without presumptions of normality. A certain relationship with difference. It is not an apology for the eccentric, but vitality whose basic rule is that each unexpected way of being can make a social fabric shareable. It is the production of the work of existence, individual and collective. It is about adding to the existence of multiplicity, where life agonises enclosed. The heaviness of identities is derailed, they become light. It is not a cure, it is to avoid the mania of reducing people to a single exclusive character, that of the mentally ill. Paper that hold us monotonously. The urgent thing is to stop representing the same hospital work with the same victim-saving characters, but often disguised differently. Change the scene. What is more therapeutic than that? New ways of being are opened up, new resistances, new forms of struggle. They call us to evoke, among those who can and supposedly can not, what power is still always to discover about itself in the contemporary scene. Perhaps the front of artists of the Borda, the circus, or the theater are something of this order. A force is activated, a wave is generated, the solitary engage in some journey or encounter. A collective made of disparate singularities is put back on track. Proximities and distances in play. The situation calls for rules and not vice versa. And likewise, when “everything is going well”; that always happens in the tenuous limit that separates construction from collapse. Times when key pieces, minutes before the show, do not want or can not participate. By a hair, things went wrong, by a hair, they went well. The raw material of this work are the ways of being unique specific to each one of us; and nothing more. These ways of being are the ways of seeing, feeling, wanting, speaking, remembering, enjoying, thinking, hurting, perceiving, inhabiting, dressing, living. That is the flow that gives life to the works. Not to leave the event, leave in the middle, intervene in all the scenes, talk with the one who should be hidden, or talk without stopping. The circus who does not juggle, the actor who does not represent, the hero who faints; the community of those who do not have a community. What makes people like and thrill at this? These life forms on stage. The resistances (to the neoliberalism that captures everything) will proliferate in the most unusual lives. Put life on stage, in a state of variation. Lesser ways of living that gain in consistency of existence. The theater, as an apparatus for the conversion of universal life into multiple life. Each of these beings, from the bottom of our pale isolation, announce another community of souls and bodies. New forms of approach and distance. A community of those who have no community. About inclusion. In the prologue of the book “Rubbish Manifesto” of the FAB, Diego Sztulwark speaks of the ambiguous problem which burdens inclusion. On the one hand, it has the best of ourselves, to go beyond selfishness, to overcome indifference in order to be with others. The problem of how to live together? And on the other hand, it carries with itself the worst. In what sense? This notion of inclusion is often inseparable from a space that is not modified. Colonial and normalizing aspect of inclusion. We continue to hold onto, many times without realising it, the notion of Subject-Object. The object as a captureable difference, and the redeeming subject with a saving space where all will have to be included. “An area of inclusion to which the excluded must be incorporated, without the space that receives them undergoing significant alterations”. Here the excluded is supposed to be a pure victim. Thus it has something of the best (giving to the other) and something of the worst (the annulment of the other). And about transformation. Same problem: its ambiguous notion, its double aspect. If the way that change is desired is already classified, then space does not suffer alterations. Object-patient, so that it subjectify itself (have a way of being adequate to the norm), it has to be transformed into: artist, citizen, coherent, rational, normal, etc., etc. So, transform what into what? Before anything, it is necessary to make visible the categories of valuation imposed in advance, naturalised. There is transformation but not in anything. Every body is the bearer of a real force that mental categories of transformation can not grasp. That is why here transformation carries with it the annulment (by underestimation) of the forces of the other. Neutralises the subversive effects of the “excluded”, supposing a subjectivity (way of being) that is helpless (weak, impotent, victim). So it is not transforming rubbish into beauty, but the values of rubbish and beauty lose weight. Everything is what it is, and it is about composing other orders of possible relationships with the pieces. The accent is placed on the naturalised order of things and not on people or groups. There is no longer a subject that transforms an object, but rather we are situations that explode, fragment and re-compose successively. It is not about transforming, but to compose with the remnants, another possible (livable) order of things. I feel my sensitivity hurts. I feel that my organs, viscera, blood, etc. have disappeared. The path of the mad: A deasylumisation experience? This experience arises as an offshoot of practices from the Front of artists of the Borda, self-investigating experimentation. Without the subject-object pair. The need to be in common without the known requirements. We have the intuition that in mad friends there are clues to trace that need. One: they do not enter into self-help techniques to have friends, to socialize. A non-technical relationship, you have to invent it. Without the imperative of unity, command, belonging, good manners. Without a social contract, what is left? Is it possible to live with others like that? This question led us to experiment. I insist: without a ditached subject who only observes. Without a fixed object to describe. Without a subject or an object there are situations, encounters, territories from which we come and go. An ensemble of bodies in certain relationships. We experience-experiment in these relationships in different ways. We try not to reject that state of affections, we take it as an input, and we ask ourselves why we feel what we feel. From there we arm (we think) territories to see what happens in that new being in common. Knowledge has to do with that experience we have, that is why I said that there is no subject of knowledge constituted in front of an object to be described. We get into the supposed object, we know more and we discover that it is not finished, it is not inert, and it has nothing to do with our representations. More than the subject-object pair we are living bodies with affections, and we try to learn to know from the experience of bonding. The encounter with others is not what you are looking for, the power-potentilaity is the encounter with the non-stereotyped, with what has no image, not only with the beauty of telling. The history of power is not the story of a subject who presents himself with his triumphs, nor personal achievements. The power is the set of accidents not always worthy but that will open possibles that did not exist. It is not about embellishing power. The Artists Front of the Borda is an organization that aims to de-asylumise through artistic productions of quality. If it is necessary to clarify “quality” we are wrong, but its mention is intended to discuss the alleged crazy object and not only in relation to the negative imagery it produces, but also in relation to that complacent look that it can generate. This opened new questions for us. Why is it necessary to produce? Could not it be another form of moulding normalisation? How to deconstruct the social imaginaries around madness without idealizing or normalizing the sufferings? Do not these intentions remain the cosmetic of living bodies that bite the hook that have us appear in the figure of: savior – healer – therapist – neurotic – normaliser – socialiser – coloniser – homogeniser? Would it not be to rearm the old social pact? Would not we be the Hobbes, disguised as artists? How to create new territories that do not respond to the old social contracts for the socialising purposes of being in common? We do not know, then we try. The diagnoses do not give us the experience of no exits nor entries. The confinement occurs when there are no delerious commons. That’s why we believe that in madness there are clues to escape from the ways of being in common already known and asphyxiated by labels. We invented “the path of the mad” so as not to become out of touch, alone and declared insane. Commands that cling, at times, points of dementia. Exorbitant ways of being in common without masters, or bosses, or flags, or ideals to which we must respond. It is a project to unleash unheard-of worlds, or the reverse, to see unheard-of worlds where there is usually a one-dimensionalisation (label) of existence. Boredom: universalisation of the facts. University of Life. Unleashing the unheard of is a remainder of power-potentiality that thought needs. Decision of non-voluntary thinking. To decide to think that what exists does not exhaust the possible. Breaking away from the living and the thinking. Do not endure the world as it is: automatic, repeated, obedient, bored. That is why we believe it is important to include the dimension of fun. Possible versions of the living. “Are there possible ways of being in common without the attaching logic of private property, of fanatical union? How? We love the strange, the inexplicable, the demential. If there is a Marlon Brando we libidise him, we follow him, we surround him. If there is a stripper, the same. If there are problems of love, we invent therapies for couples. Can one live with others without the project of civilization? Without the intentions of coexistence, learning, good manners? And the always inhibitory question: what if something happens? An example: the money theme. We all put up cash for outings and trips. Not so that they can be well managed and be conceived of as middle class savings. Let them spend it on whatever they want. We do not want to normalise, but to equalize in the conditions. Obviously without the imperative of silly equality. If a friend says to you: “Today I am cleaned out, can you stand me some money” is clear. The issue is whether giving and receiving freezes over: another problem of being together. That’s why we ask ourselves how to bear with deasylumising experiences on our backs without reviewing the asylum-like crystallizations that pass themselves off as our own daily life? “Each and every one of can be more than what the role supposes; how to build ways of being in common without the assumption of that which we can do or be? Inventing paths is that there are more bodies to carry the excess (overwhelming strength that struggles to be said) easily. That loneliness is not only of those declared delirious. It is the existential solitude that you can carry only by numbing sensibilities. If we open that door we are all helpless, and that’s why we come together. He states that “living is, for the speaking sensibilities, a difficult task, and that in order to face it, it is first of all necessary to mitigate the disorientation caused by the fact that we do not have a predetermined environment”. In regulated experiences you do not find yourself with unthinkable relationships. Everything encoded. The opposite is the necessity of inventing common ways of being as a strategy of salvation from the imminent danger of feeling orphaned, alien or crazy. An experience that we have all the time if you live in a situation where the codified regulation is not the equal. You live the experience of the foreigner, you are in a country where the other does not know your language nor do you know hers/his. You have to appeal to an infinite expressive power to be able to communicate. It is not enough with the code, nor with speaking a language. You will have to make an effort to see how the other gesticulates, what s/he thinks, what happens to her/him. It is about creating existential territories in which there can be existences that are normally excluded. Producing resistances is producing existential territories and not returning to a previous model. The question insists, is a community of those without a community possible? How do we protect ourselves, if the fiction of unity falls away, from the anguish that every body is familiar with: that of estrangement from one’s “own” body? 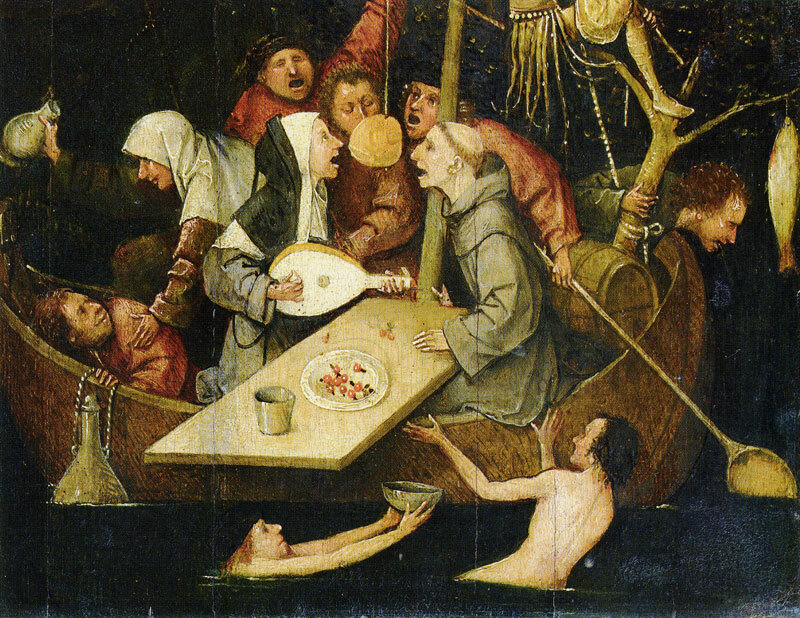 “This suffocating evil of the groups expresses itself as a horrible replica of the dangerousness of the world, of wandering, of the elements, of the shipwreck”. Why with mad people? By chance, by whim, or by suspicion that there is something here unheard of. We are anxious about not having a theoretical framework but; do not you think that we have to invent that framework starting from experience every time and not the other way around? “We are also products of what institutions made of us. The madman is alloted to the asylum, we to the university, to believe that the theoretical framework exists a priori, before experience, is an example. Many times we hesitate because we can not fit her/him into the psychologist’s manual, we like to doubt, we like to discover that the unheard of is unleashed when the identities that govern us are destroyed”. Do we have to invent new ways of being in common, or do we have to follow the protocols of common sense to intervene? We try to devise occurrences that leave aside the stereotypes of cure. We try to devise unusual actions that can work anywhere, imagine collective fabulations that repeat a few world outbursts. Repetition of experimentation. Repetition that does not inhibit, that raises up because there is a sense that there is something mysterious in the event. That mystery is what makes her/him accept all the proposals. S/he knows that in order to decide, s/he has to experiment first. For the doubts say yes. To see if the meeting with the event is lost. It is a repetition that wagers. S/he knows that very often nothing happens, but s/he also knows that the only way intuition assaults him, is by dancing. Repetition that does not marry the facts. It is not like the movement. Repetition that is movement, experimentation and decision. This repetition also needs a between. That in between is not someone who proposes, but a proposal. A call. It is not at the service of the egos, but rather that the thing works. Since there is repetition, one forgets how and who one is invited him onto that train, one only knows that one is in a moving train. There is no longer any individual, group, community, society, or even situation. There is rupture, madness. It is not built by will, but to see when and how it is possible that existential territories arise so that certain possibilities emerge. The path of the madman, for now, tries and invents existential territories as an antidote to asylumising deaslyumisation. The sane stole it from the insane. If a city does not know how to accommodate the anguish of its inhabitants, it calls madness that which it does not like to hear. A people that does not support its pains separates and excludes them. To remove the pains is to forget them. The oblivion that becomes habit becomes indolence. We are accomplices of that insensibility! Emotions locked away for centuries between the walls of the asylum. And now, where are we going to look for them? Sensitivity: Raw material of the bodies. If a city’s tears dry up, it has to go to look for them where it marginalised them. To the reservoirs of energy that hide that silenced magic. The humans of success hid their anguish, forgot it. The sane, already withered, have to go to loot what they once expelled. They stole my organs, the roar of voices of what is never going to be silenced. They stole my organs, howls of a future without imagination. They stole my organs, repeated denunciation of an insensitive future. They stole my organs, the cry of bodies wrung by the zombie voracity of an indolent humanity that wanders through the indebted city. Normality has robbed the organs of madness. 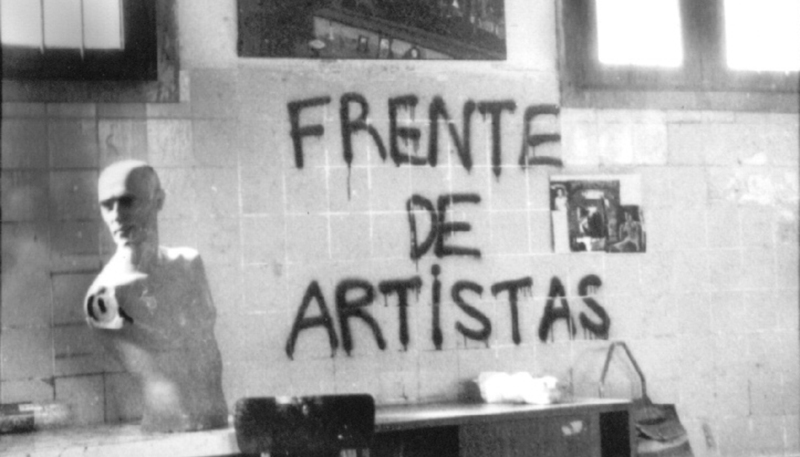 This entry was posted in Poiesis and tagged argentina, Art and Revolution, Fernando Stivala. Bookmark the permalink. Pingback: In praise of folly: Frente de Artistas del Borda – Madness is not a personal fatality, it is an unheard of sensitivity – Enough is Enough!